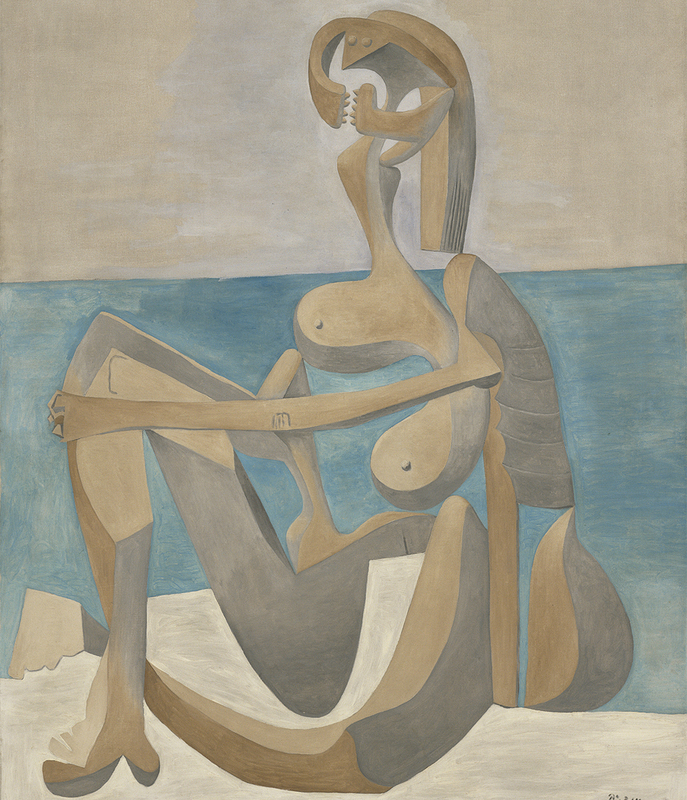 The Winter Masterpieces exhibition MoMA at NGV: 130 years of Modern and Contemporary Art from the Museum of Modern and Contemporary Art (MoMA) New York, is now on view until October 7, 1918 at the National Gallery of Victoria – NGV International on St Kilda Road, Melbourne, Victoria. Divided into eight themes, this exhibition is without doubt the most excellent, extensive, energy charged and extraordinary installation yet seen at the NGV during my time living in Melbourne. Must say I find myself at complete sixes and sevens about where to start to share my own enthusiasm for the more than 230 thought provoking works on display. Seems to me the outstanding work and one of MoMA’s treasured by the highly imaginative and prominent Spanish surrealist painter Salvador Dali (1904-1989) would be a good starting point. 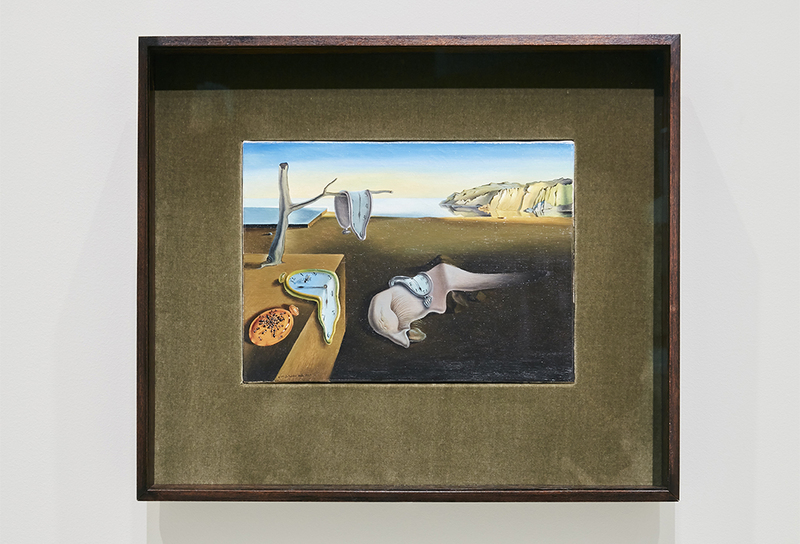 Long have I admired his work and this small but defining oil on canvas, entitled The Persistence of Memory (1931) is a powerhouse of compressed space, which intensifies your experience when you encounter it. Dali in maturity specialised in subconscious imagery. Technically proficient, the enigmatic images, watches could be seen to represent time slowly melting like a Camembert cheese into the calm eerie surreal landscape. 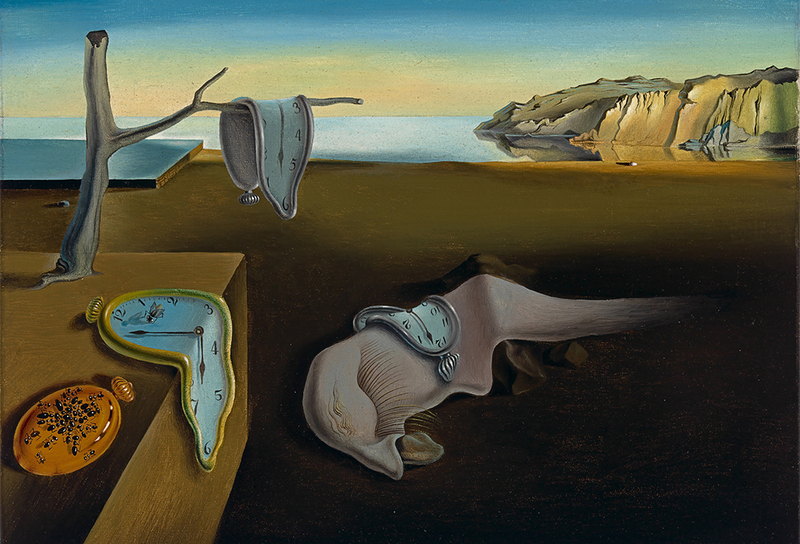 Dali was often asked about its meaning. For this viewer it is all about the clever juxtaposition of the shapes within a small area that draws you in with its intensity. The more you look at the detail, the more you see and it is no wonder to me that it came to represent the ‘acme of Surrealism’. 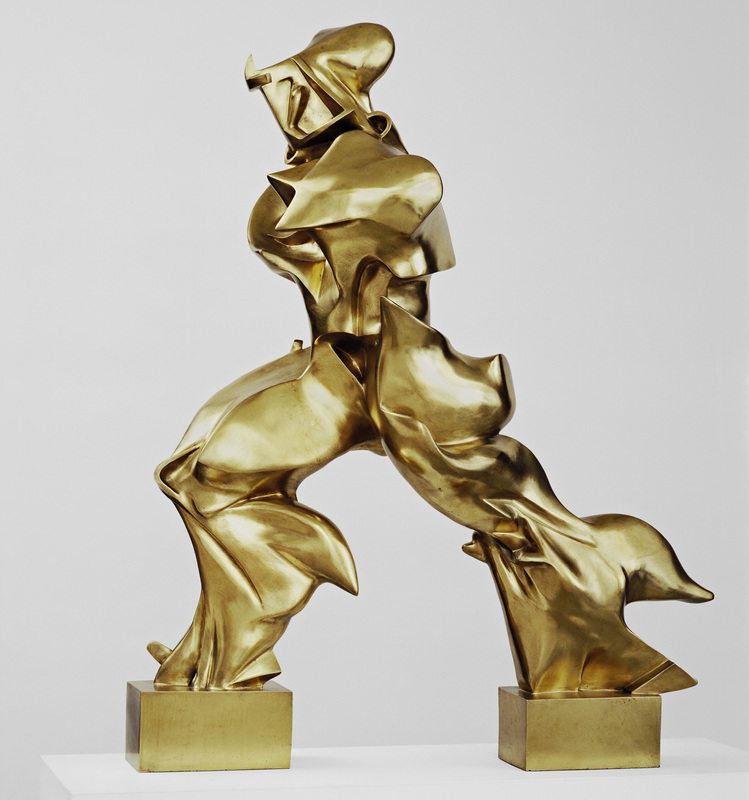 My favourite work however, is sculptural, created in 1913 Unique forms of continuity in space is a cast (1931) in bronze by Umberto Boccioni, who signed the 1910 Manifesto of the Futurist Painters in Italy. He wanted to create a new dynamism and reflect the energy required to face the future. For me he certainly achieves that with this sculpture, which seems to represent the whole of humankind bestriding the current world confidently and certainly not intimidated by what lays ahead. You may need more than one visit. I certainly will. Pablo Picasso, Frida Kahlo, Vincent van Gogh, Paul Cezanne, Andy Warhol, Georgia O’Keeffe, Edward Hopper, Martin Short, Salvador Dali, Piet Mondrian, photographs by Eugene Atget and much much more, the walls feature a who’s who roll call of works by some of the greatest artists from the late nineteenth century until today. 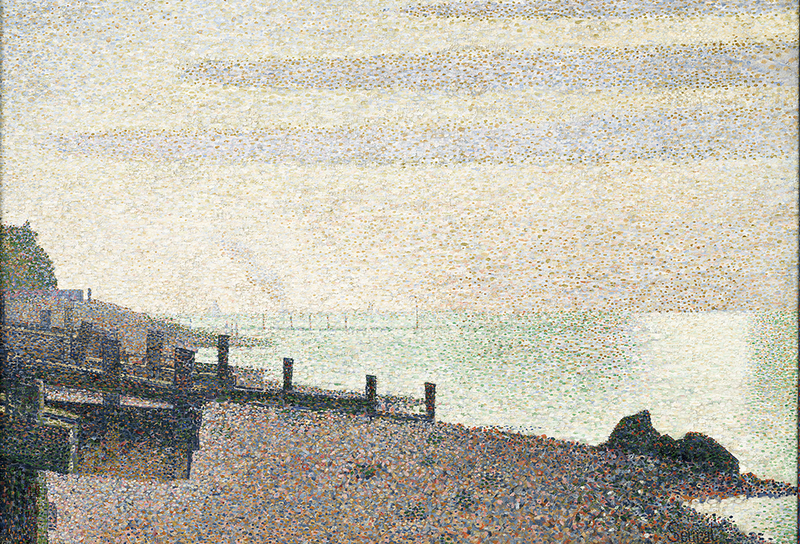 From ball bearings to fans, from service stations to Seurat, to say the works on show are a generous loan by MoMA, an institution regarded as the greatest of its kind in the world, is not enough to say. It’s mind boggling and reveals the trust the two directors of each institution share. 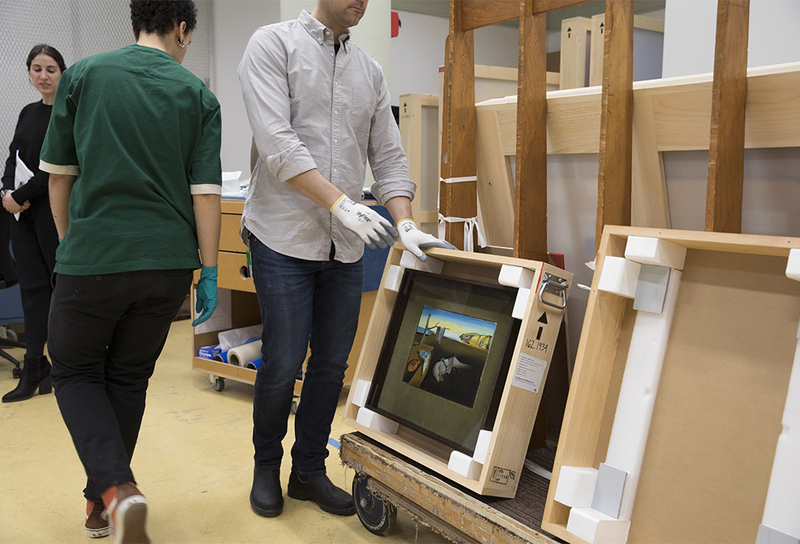 More than half the works now in Australia have never left its walls since they were first purchased to help begin the collection of the gallery founded in 1929, to champion ideas of modernity and to lay the groundwork for its acceptance in America. 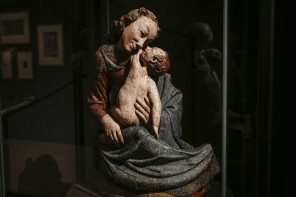 This happened at a time in New York when the works of living artists were not yet included in any educational curriculum at University and the man responsible for it happening was a Bachelor and Masters graduate in the History of Art from Princeton. Alfred Hamilton Barr (1902 – 1981) went on to complete his PhD on ‘living artists’ at Harvard. He also taught a groundbreaking course ‘Tradition and Revolt in Modern Painting’ at Wellesley College, the first course at any institution in the world about contemporary art while its artists were still living. Barr’s activities for over nearly four decades, would change the attitudes to art not only in his own country, but also by way of influence, globally today. National Gallery of Victoria (NGV) Director Tony Ellwood welcomed the current MoMA (Museum of Modern Art) New York Director Glenn Lowry, the Curator of Modern Design, MoM98A Juliet Kinchin and the Curator of Prints and Drawings, MoMA Christian Rattemeyer to Melbourne. Tony Ellwood introduced Martin Foley, Minister for Creative Industries. He was very animated, as he welcome the Americans and talked about the exciting announcement made last week by the Victorian Government; NGV Contemporary will be a new architectural addition to the Arts Precinct in Melbourne during the next decade, making it one of the most focused and accessible not only in Australia, but also globally. ‘Culture is at its most interesting when shared’…, commented Glenn Lowry, as he prepared to guide the guests and media around, offering the most erudite, enthusiastic and exciting talk on his favourite subject. Optimism was an important characteristic of his outstanding professional presentation, as he stimulated and inspired us all. 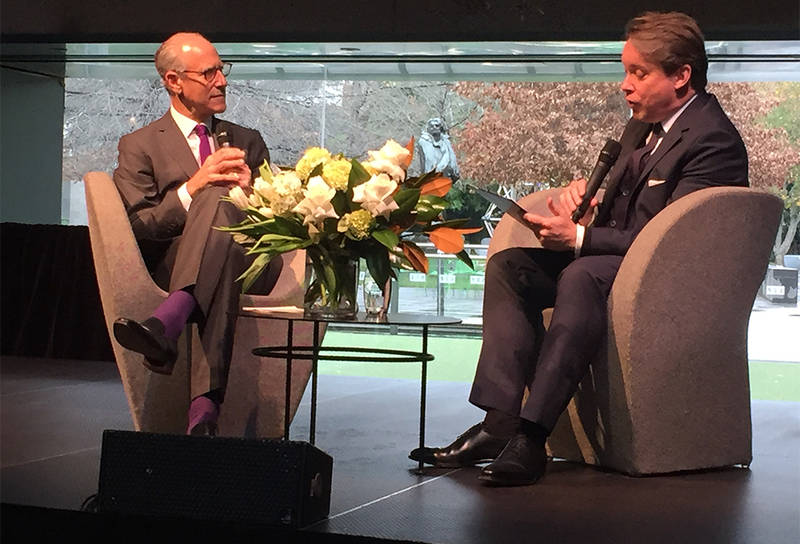 MoMA Director Glenn Lowry in conversation with an equally excited NGV Director Tony Ellwood, explained how MoMA had been originally created as a laboratory for learning, to stimulate questions to be asked about what happens when you have a meeting of ideas, creativity and culture. He was energized too about how, when working with NGV personnel, his curators had helped in creating in Melbourne a unique display by intermixing the works so viewers would be able to enjoy a larger conversation across time and space, stretching their imagination. At MoMA in its past he explained, when displaying works from their collection, they have basically kept its many aspects as they developed, separate. He was heartened by the wonderful results curators from his institution working with their Australian colleagues, achieved and noted very generously, he couldn’t wait to get home and implement changes…. “…the vision we hope to achieve with the installation of works in our new extensions is already on show here” he enthused.. When you enter the exhibition the first four great works you encounter are by major figures Paul Cézanne (1829-1906), Vincent Van Gogh (1853-1890), Paul Gaugin (1848-1903) and Georges-Pierre Seurat (1859 – 1891) the original four works in MoMA’s collection by artists who all wanted society to become forward thinking. 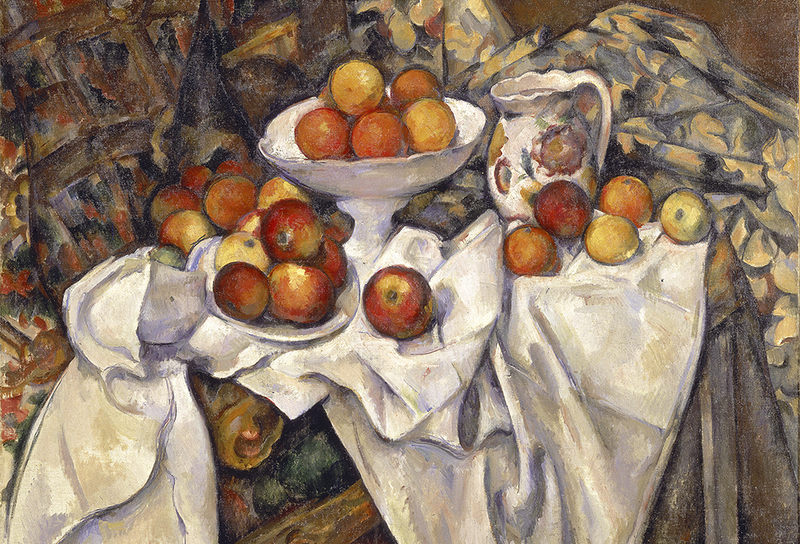 Paul Cezanne recorded his Still Life with Apples, 1895 – 1898, an oil on canvas which proceeded slowly towards completion. He said “… nature reveals herself to me in very complex forms; and the progress needed is incessant” said Cezanne… as he worked in a very controlled environment, producing art he saw as being in a state of ‘perpetual transformation’. He experimented with ‘line and tonal luminescence’, overlaying his works with concepts of classicism taught at the École des Beaux Arts where he had been a student. In his Evening Honfleur, he produced a work that is extraordinary testament to his abilities at blending colours optically. We are left to only ponder on what might have been, because he died suddenly at 32 years of age. Vincent Van Gogh was affected by the colours and light in Provence, along with those who have flocked there to experience first-hand its magic. He wrote how ‘…the countryside takes on gilded tones in all the nuances; green gold, yellow gold, pink gold or bronzed, or coppery, and from lemon gold to an ombre yellow’. 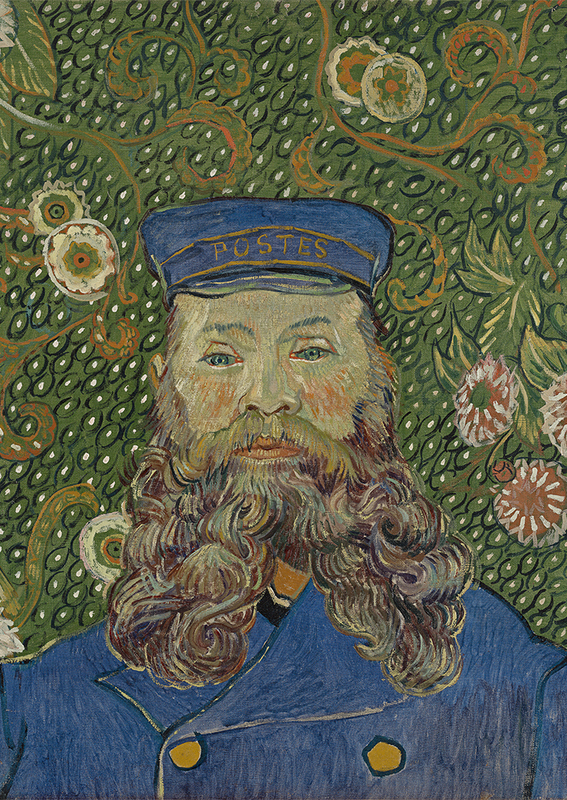 His portrait of local postman Joseph Roulin 1889 with his amazing beard set against an extraordinary wallpaper background, came from Van Gogh’s period living in the Yellow House at Arles, where he sought to capture the ‘je ne sais quoi of the eternal’. 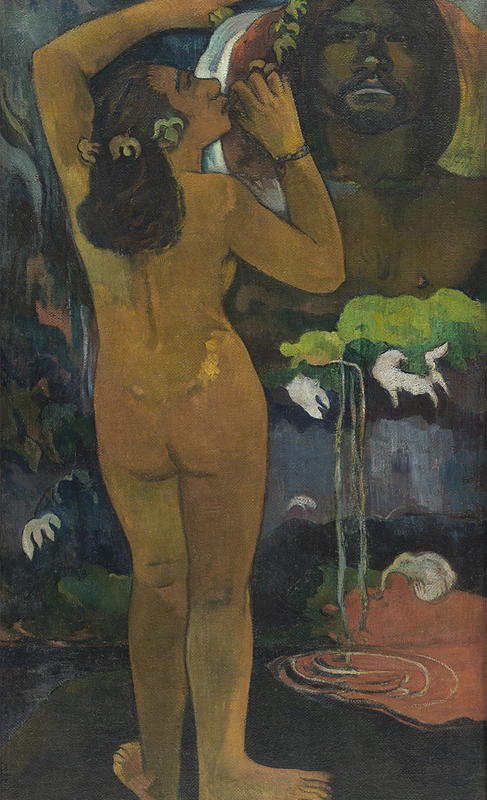 Paul Gaugin a friend of Van Gogh sought his take on new art by travelling to exotic places, where he hoped to encounter ‘authentic nature’ in his own search for the new. His The Moon and the Earth, relates to a creation myth in Polynesia and showcases how all nations on earth, just like individuals, have distinct modes of existence. Each culture’s creation stories all have something in common; an attempt to rationalise the presence of humans on earth. MoMA was born because of Barr’s response to changing conditions after decades of industrialization had changed the face of design and aesthetics in the previous century. The design movements and styles generally embraced under the collective term Modernism are known in the world of design history and the decorative arts as the Arts and Crafts 1875-1915A, L’Art Nouveau (1890-1910), Northern European Jugendstil (1899-1910) Vienna Secession (1897-1906), Wiener Werkstatte (1903-1933), German Bauhaus, Modernists (1919-1933), Art Deco (1906-1940) and the Union des Artistes Modernes (1929-1940). 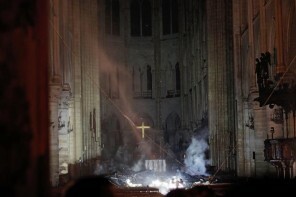 The dates are only a guide, as styles overlapped each other at their creation and again, at their demise. The watershed of the modern age was youthful idealism combined with a spirit of sacrifice and a willingness to work hard. 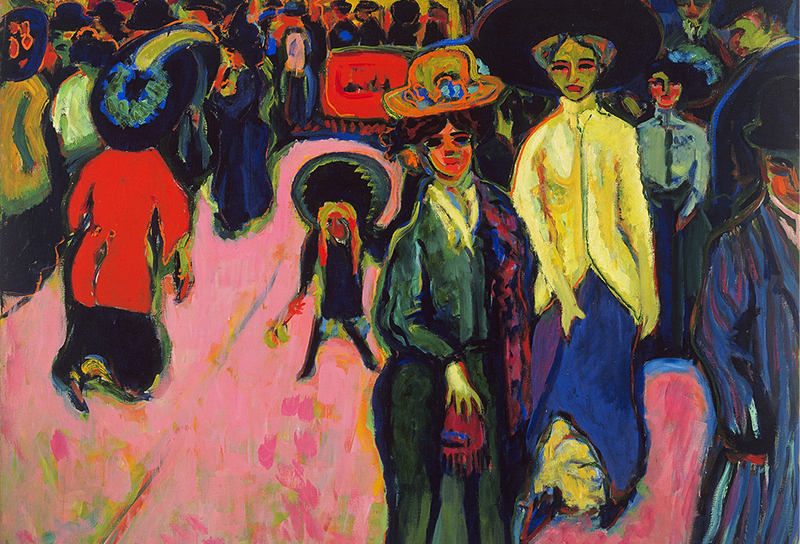 Post World War I the new modern style that developed drew on abstraction, distortion and simplification. 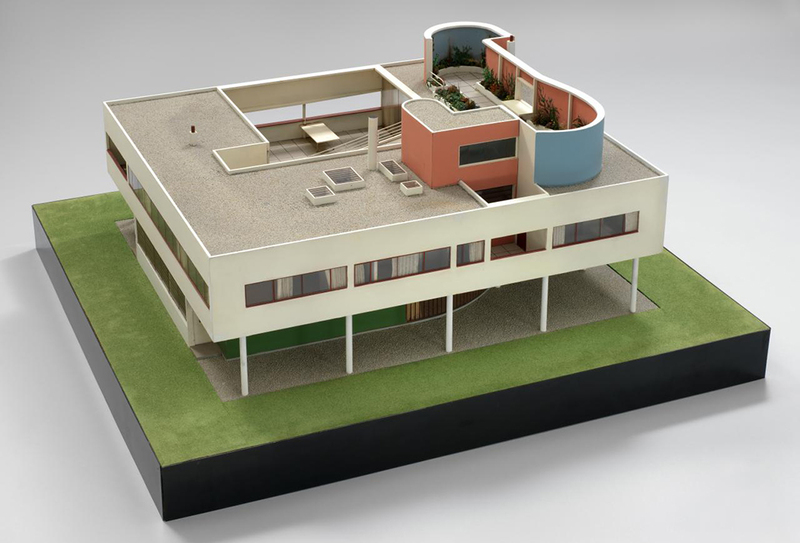 Function over form began rising to the forefront of design led by Swiss born French based architect Le Corbusier (Charles Edward Jeanneret) whose model for the Villa Savoye, Poissy-sur-Seine, France 1932, is part of the display. The German Bauhaus movement under Walter Gropius was founded in 1919, fostering talented designers such as Mies van der Rohe and Marcel Breur. In 1933, with their practices not embraced by the growing Nazi movement, many Bauhaus Modernists left for the U.S.A where they created the International School of Architecture, so fundamental to American design now. 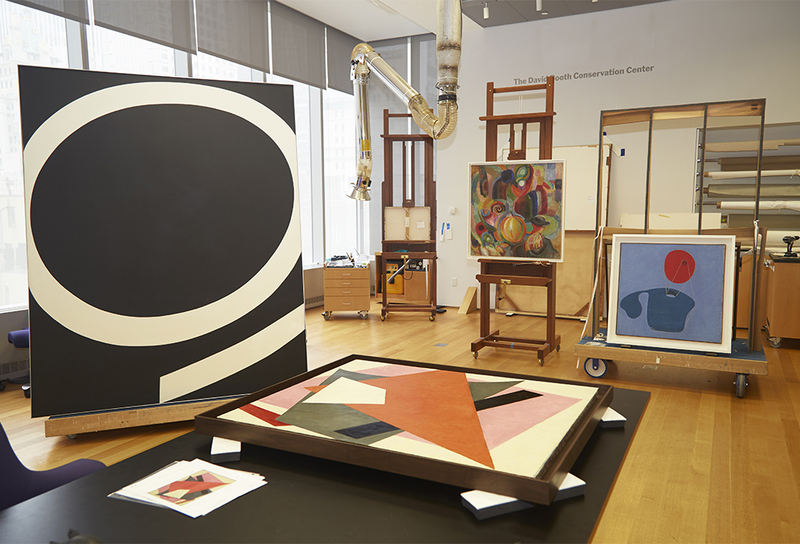 Art works exemplifying the avant-garde vision of Cubism and Futurism, and industrial objects embodying the dynamic motion underlying artistic change are integral to The Machinery of the Modern World. 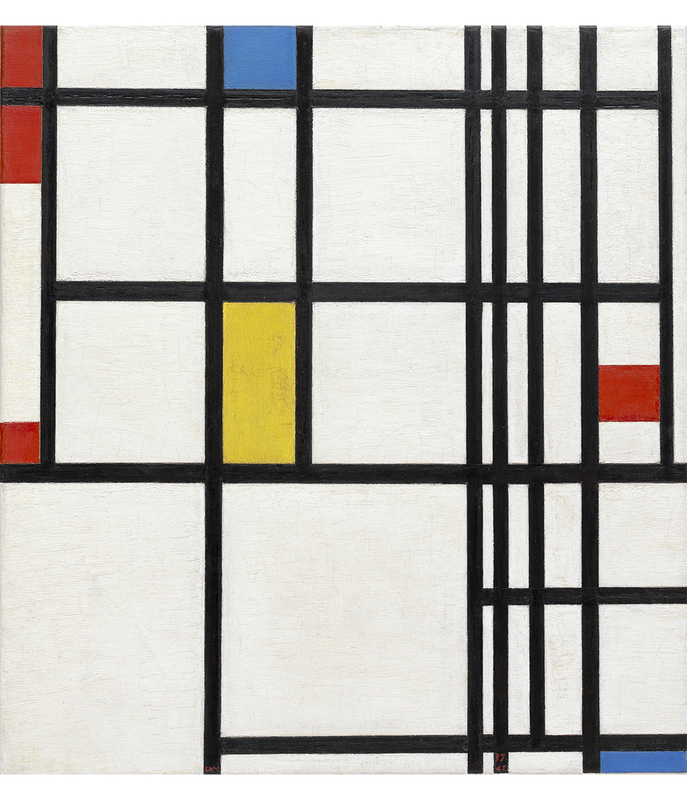 During the 1930s with new unity, artists such as Piet Mondrian and László Moholy-Nagy sought to renew art by adopting a radical abstraction that is still inspiring designers today. 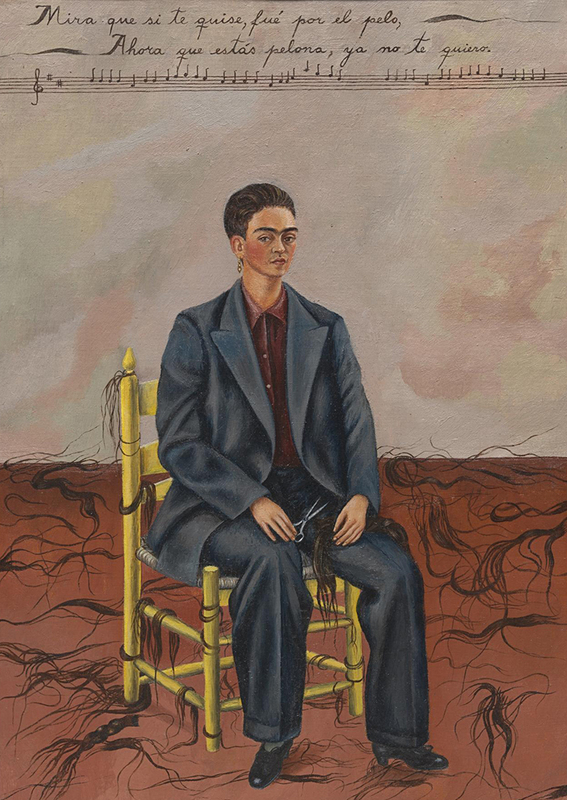 Surrealism, as embraced by such artists Salvador Dalí, René Magritte, Joan Miró, Frida Kahlo and Max Ernst, are presented alongside that of the native product; one of its most important 20th century, although prickly cultural icons, Georgia O’Keeffe. 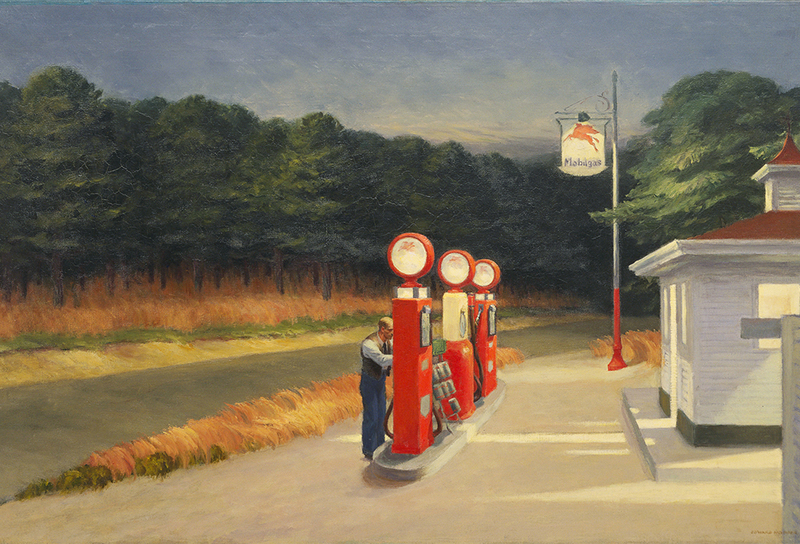 American realist painter and printmaker Edward Hopper who is also represented in his scene of a service station out on a lonely regional road, was equally proficient as a watercolorist. His work is like the last bastion of civilisation in an environment which can often seem hostile to those who do not know it well. Abstract Expressionism is reflected in works by Jackson Pollock and Ad Reinhardt, set alongside leading Brazilian modernists Lygia Clark and Hélio Oiticica, rarely seen in Australia. Works from the Architecture & Design collection at MoMA demonstrate the future-focus of designers and architects in the 60’s. By the 1980s and 1990s modern art was no longer ‘new’, and it changed again to be ‘contemporary’. 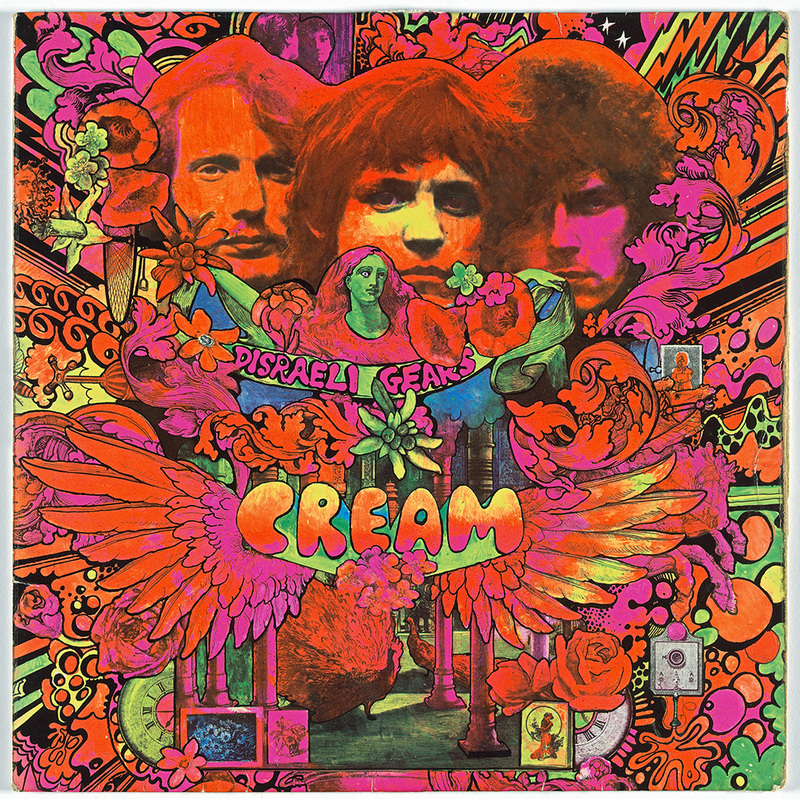 The display encompasses ideas of music, photographic works, advertising, graphic design, radio and computer technologies, to name a few, as being original became increasingly challenging with artists seeking to find where their place would be in in an ever-expanding universe of images and signs. 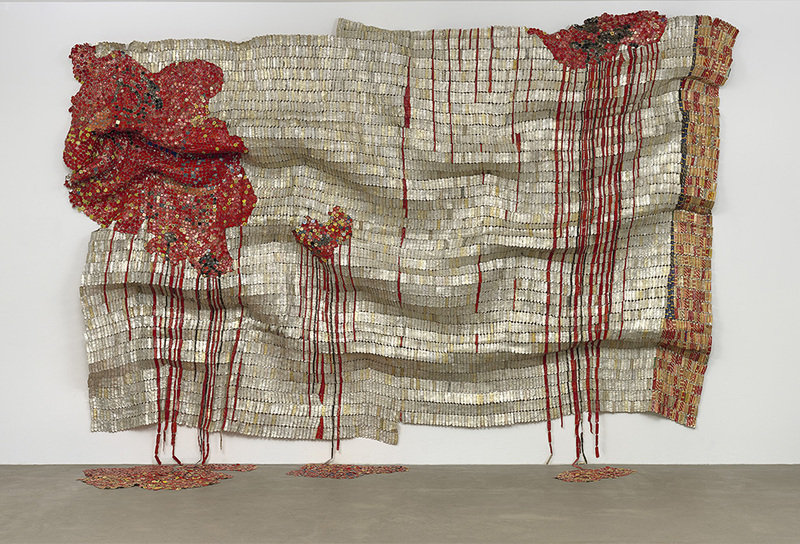 During the last twenty years, MoMA has concentrated on collecting contemporary art, with broader representation of artists from previously underrepresented countries in Africa, South America and Asia reflecting our increased physical mobility in the twenty-first century where in an endlessly diverse, mutable and fluid world. This exhibition is above all, a grand meeting place for ideas. 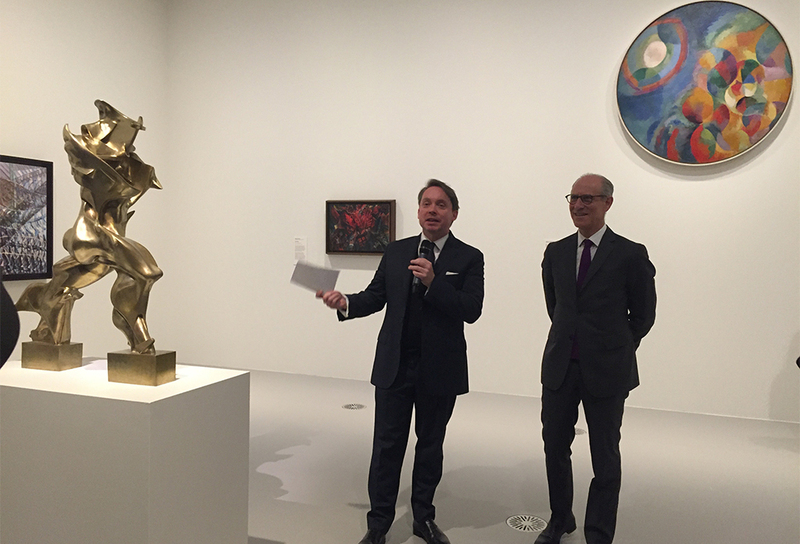 Oh, and Tony Ellwood, Director, NGV reminded us while the main exhibition is happening, “New York! New York! 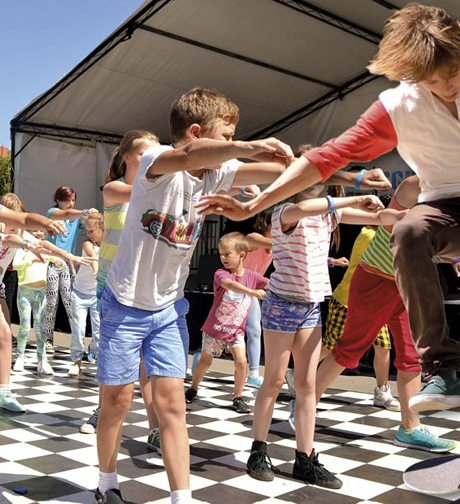 for Kids is an innovative and engaging exhibition designed specifically for children and families that celebrates the arts and cultural hub that is New York City. 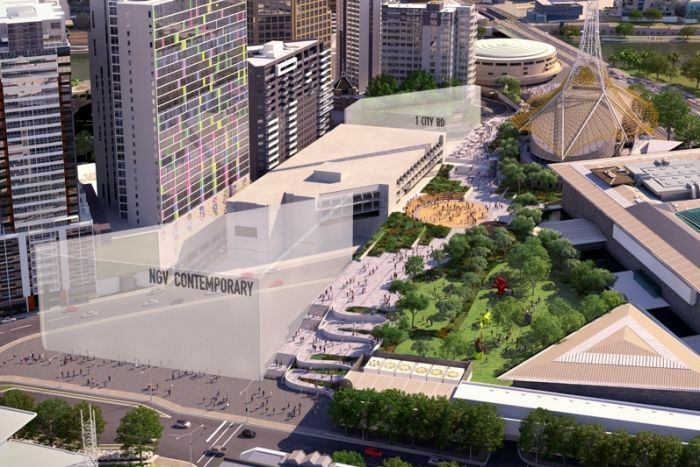 A fellow global leader in the arts, New York City is the home and inspiration of many artists and designers, and we hope young people will be similarly inspired by The Big Apple right here in Melbourne” Elwood said. 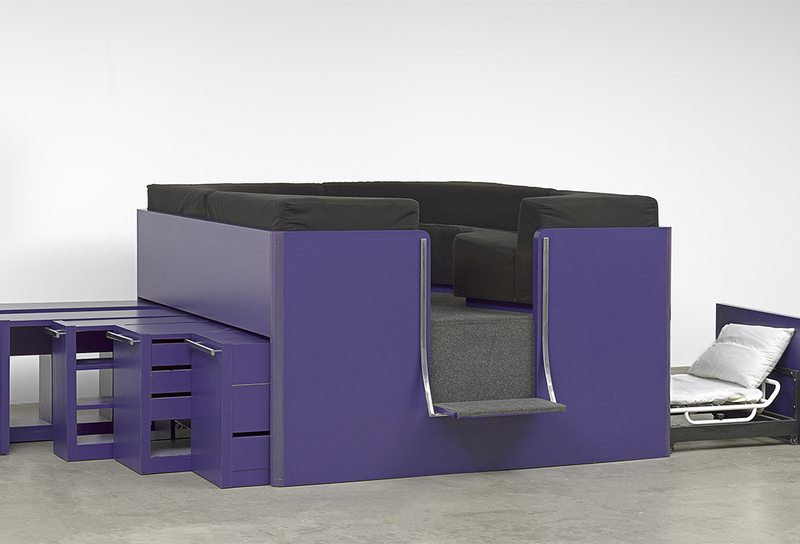 Robert Gober. 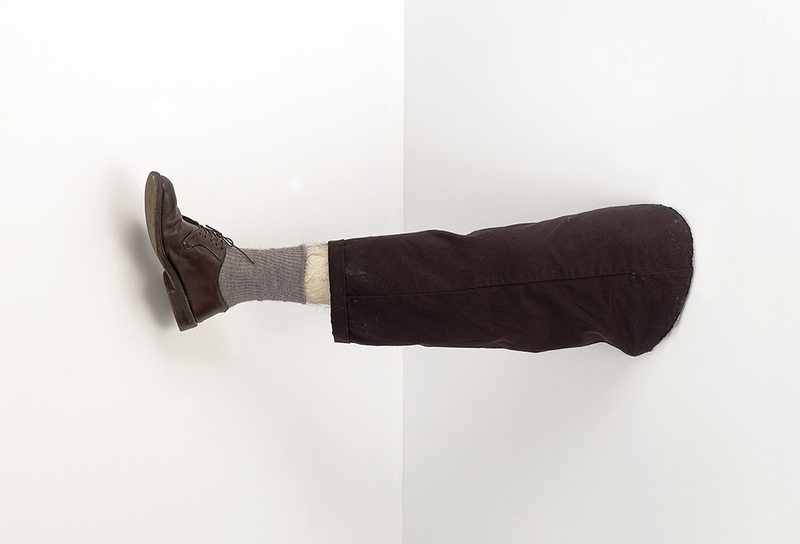 American born 1954, Untitled 1991. wood, beeswax, leather shoe, cotton fabric, human hair, and steel 31.8 x 90.2 x 23.5 cm. The Museum of Modern Art, New York, Robert and Meryl Meltzer, Anna Marie and Robert F. Shapiro, The Norman and Rosita Winston Foundation Inc. Funds, The Millstream Fund, and Jerry I. Speyer Fund, 1992. 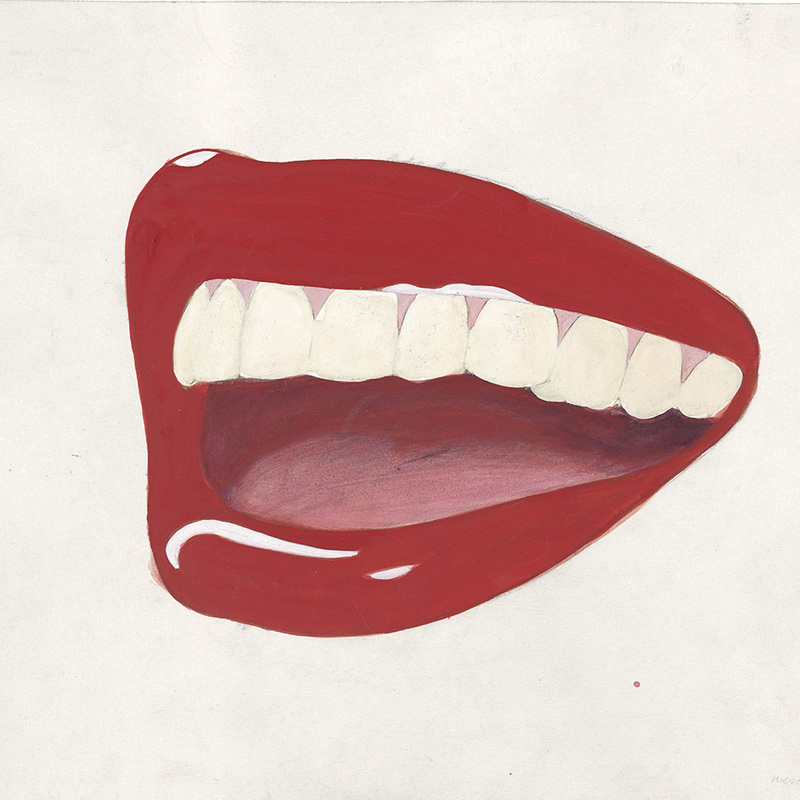 © Robert Gober, Courtesy Matthew Marks Gallery. 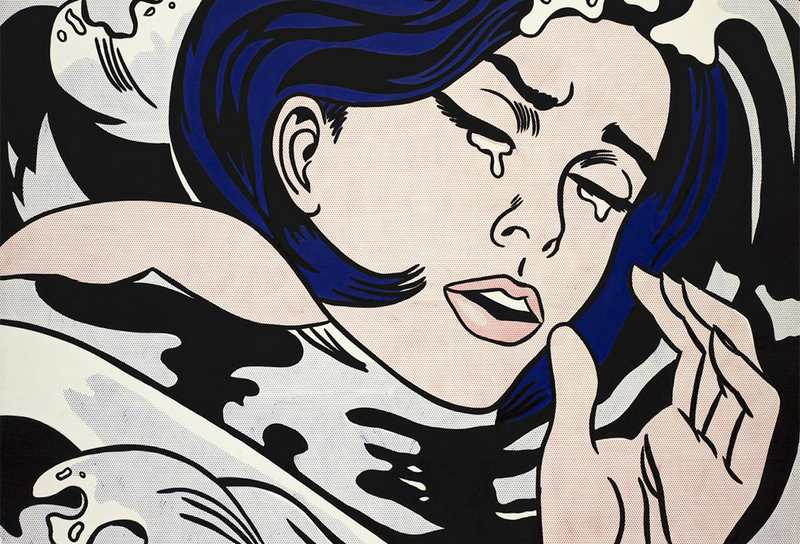 MoMA at NGV: 130 years of Modern and Contemporary Art is all about creativity and culture helping artists of today to extract from the past through inspiration, what they need to comment on the present. It’s also about inspiring the constant change required to reflect a new society. After all, all art is modern in its own time.